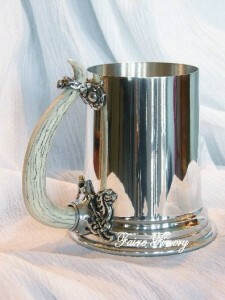 This robust heavy gauge pewter tankard has a simulated horn (Viking fertility symbol) in the traditional Viking style. 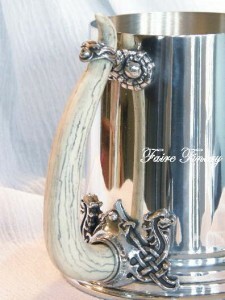 Horn is set into ornately carved pewter mounts. 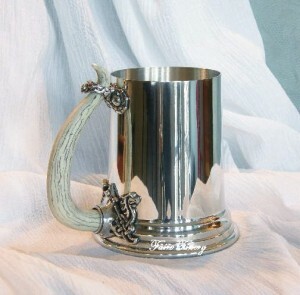 Holds one pint and is approximately 5″ tall. 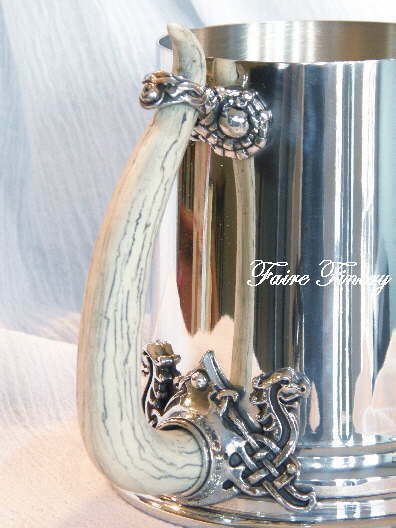 Lead free pewter, of course. Perfect for the modern day barbarian.